Oil changes are vital in keeping your engine alive. Over time particles and acids build up in your oil. 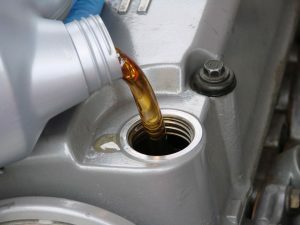 Oil can also break down and stop lubricating or protecting your engine like it should. Neglecting the oil changes can result in increased engine wear, reduced gas mileage, increased engine temperatures and even engine failure. At I work on cars we stock conventional, synthetic blend and full synthetic oils. 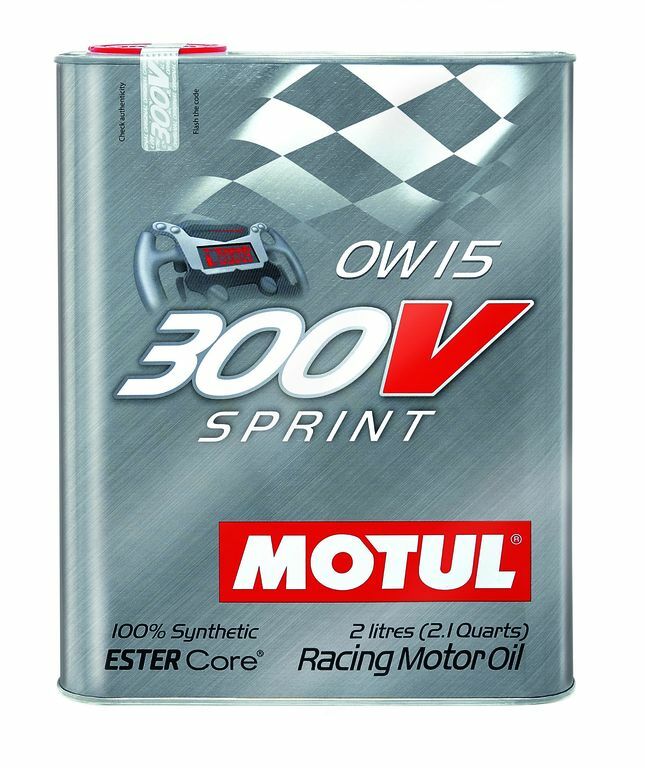 We even have the performance/racing oils for the automotive enthusiast. 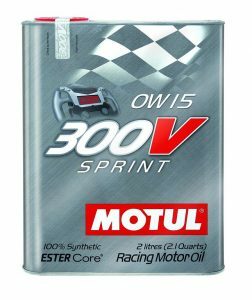 Some of the brands we carry are Pennzoil, Valvoline, Mobil 1, ACDelco and even Motul or Redline performance oils. 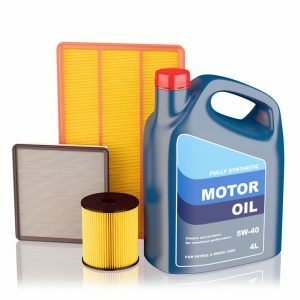 Ask us what is recommended for your vehicle today. Is it ok to use a 5w-30 when my car calls for 5w-20? Using any oil that isn’t in your owners manual can result in increased wear, decreased mileage and even failure. Check with your manual first before changing any oil thickness. Reading engine oils is easy. 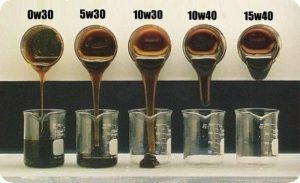 For instance you have an oil that says 5w-30, the 5w is the oils thickness/viscosity in cold/winter startups. 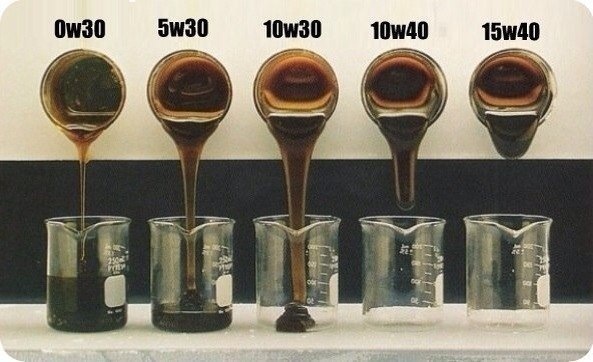 The 30 is your oil thickness/viscosity in warm/hot running temperatures. A 10w or 15w won’t flow as well on cold startup. The image at the left shows several oils being poured at freezing temperatures. What a difference! What if I’m racing? Should I put a thicker oil in? This is a very hard question. Initially we recommend using a performance/race oil that matches the manufacturers weight and grade. However checking your oil after the race as well as oil temperatures and oil pressure readings can be used to determine if the oil you have chosen is standing up to the challenge. Should I use a thicker oil? It varies greatly on the circumstance. Higher viscosity oil can be used to compensate for increased bearing clearances (gaps between bearing and crankshaft / camshaft) that have developed over the years on a worn engine. However it is very hard to know how much bigger that gap has become. We recommend using the manufacturers oil selection. Regular changing of oil will help slow the wear significantly. Full synthetic, synthetic blend and conventional oils are compatible with each other. We recommend following manufacturer recommended oil type and weights. The engineers chose the oil that works best for the engine. Most engines will benefit from upgrading to synthetics. I heard older cars run better or should use conventional oils. Is this true?